The Eugene Dupuch Law School offers students the opportunity to participate in extra-curricular competitive and non-competitive moots and competitions. Amongst other things, the mooting experience provides students with additional opportunities to hone written and oral advocacy and to further develop critical thinking, problem-solving, accountability and leadership skills. Working in such team environments also provides benefits such as fostering peer to peer camaraderie and improving planning, time management and communication proficiencies. Teams are selected after an interview process; under the guidance of faculty who serve as team advisors or coaches. Students work diligently to ensure that the high standards of the Law School are maintained. 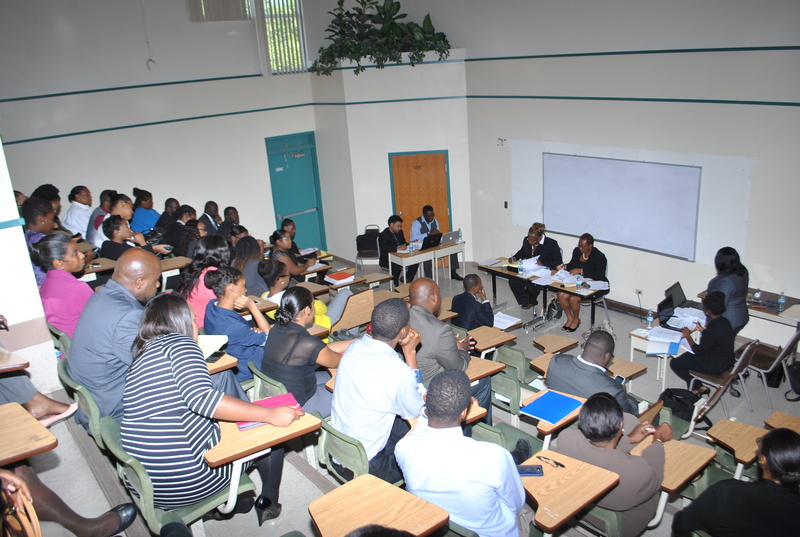 In various fora, presentations are typically assessed by panels comprising of judges and or senior legal practitioners. 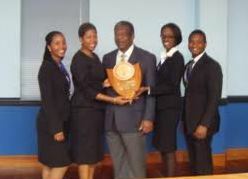 The Law School currently participates in the Lex Caribbean Client Interviewing Competition, the Price Media Law Moot, the International Environmental Moot Court Competition, the Caribbean Law Clinic, the Maragret Forts Regional Moot Competition and the Caribbean Court of Justice International Law Moot.